After you kiteboard on Koh phangan there’s really no better way to end the day than by chilling out with friends and watching the sunset with a nice cold beer in hand! The entire West Coast of Koh Phangan spanning from as far as Haad Rin all the way to Haad Yao offers up incredible sunset spots, each serving up tasty cocktails and concoctions, and all offering a slightly different view. After a night-cap and sunset session at any of these places we’re sure you’ll find yourself feeling happy and relaxed! 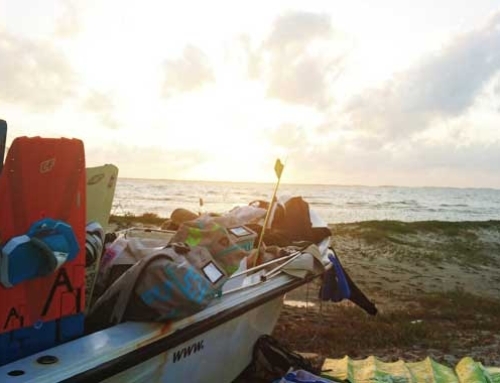 If you kiteboard on Koh Phangan and are staying in the Baan Tai area, you are likely to find many fellow kiters retreating at Munchies Resort to watch the sunset. Munchies is tucked away in the corner of Baan Tai and is a bit off the beaten path, but once you arrive and enjoy a cocktail from their swim up bar you could find yourself chatting it up for hours with their friendly staff and other kitesurfers. 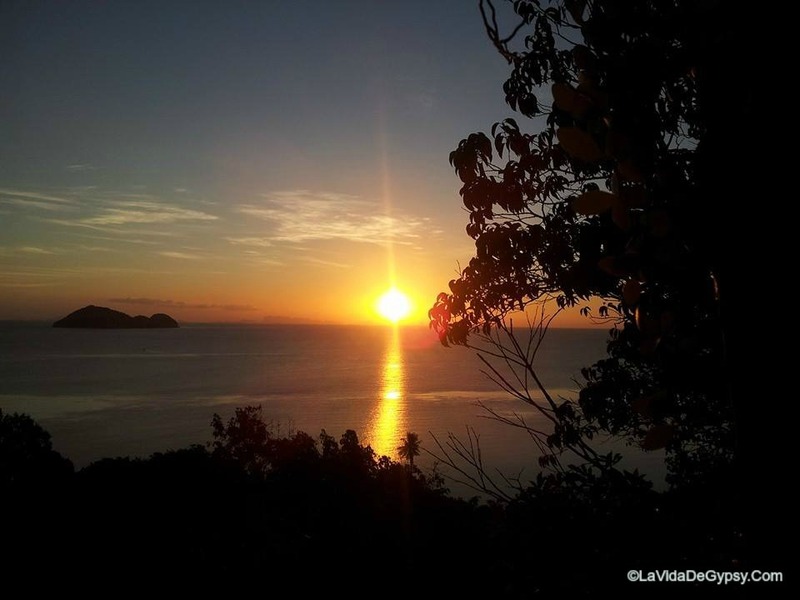 And of course the view of the sun setting behind Ang Thong Marine Park is superb from Munchies. If you are staying a bit farther up North, about half-way up the West Coast of the island is another great place to unwind after an epic day of kitesurfing; Top Rock Bar. Don’t be put off by the 135+ steps leading you up to the bar, as those steps are going to lead you up to an epic open platform nestled high up in the jungle hills offering unparalleled views of the ocean and sunset. The climb might be a bit hard after you kiteboard on Koh Phangan but once you sit down with a coconut or a beer and take in that view, those steps will have been totally worth it! And lastly, going even a bit farther North along the West Coast of Koh Phangan is Koh Raham at Haad Son Resort. You will see Koh Raham, the restaurant that sits on top of a rock in the ocean, just before you would dip down into the Haad Yao hills. You can’t miss this “floating bar” from the road since it’s the only place of its kind. To access the restaurant you park at Haad Son Resort and walk down to the water. 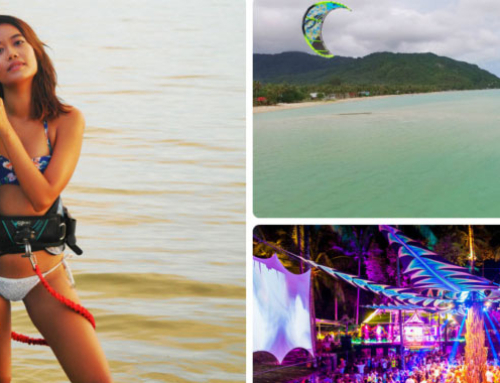 Here you will find an incredible place to swim, eat, drink, and relax after you kiteboard on Koh Phangan.